Center Info: Established in 1990 under the guidance of BK Kirya (then minister of State for Uganda), GSM Uganda engages in various activities such as counseling, education, evangelism, and social welfare in different parts of the country. 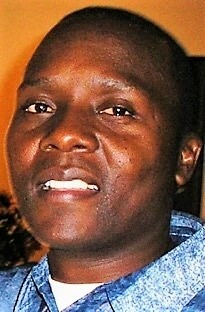 National Director, Osborn Muyanja, has been involved in the ministry for twenty seven years. GSM Uganda has also spearheaded social economical development in various communities through the auspices of the Microcredit Empowerment Fund. One community project funded by MEF is the GOGO Piggery. A person is given a sow to raise. Once the sow has had a litter, the owner gives one female piglet to another family or community member to raise. From then on, the original sow and her piglets provide income and food to the family, and the chain continues. At GSM here, the emphasis is on the word Good – Good in character, work, relationship with God, and the community which involves students, fellow workers, teachers, staff, parents, guardians and the community. We love, respect, protect, preserve, prune, propel and defend. We’re educators, not only to students, but everyone including the environment. A lot has been done for our environment at school; planting grass, trees, and flowers. We parent, care, mentor, and monitor each individual’s progress. For the health and welfare of our teachers, students and communities. For more sponsors to allow more children to receive an education. For the resources to maintain the school buildings. For the travel of African and US leaders.